With an impressive resume and down to earth, friendly attitude, Julia C. is the ideal candidate and in the spotlight this month for CM Access. Julia is a professional writer, editor and researcher with over twenty years of experience in roles ranging from Sr. Editor, Content Manager to author of a non-fiction book. CM Access Lead Career Advocate Lisa Manning matched Julia with a Sr. Copywriter role for a large retailer’s in-house team. Julia was impressed with Lisa’s personalized touch and ability to quickly find a position that met her career interests. Looking to transition from agency roles to in-house positions, Julia welcomed the opportunity. She thoroughly enjoyed copywriting for a variety of integrated channels including print, digital and newsletters. Julia also had a hand in the development of a social media strategy, focusing on brand points consumers are passionate about to build a community, increase interaction and bolster viral reaction. She says it was a “great experience” and calls Lisa a “huge support.” As the mother of three children and an established writer, she appreciates that temporary staffing offers both flexibility and a wide array of opportunities. Julia appreciates roles that enable her to help distinguish a brand and give it greater reach. She especially enjoyed her experience with a respected medical journal as Lead Copywriter. Working with creative, design and marketing teams she crafted and mastered the distinct tone, image and brand messaging, speaking to each publication’s various audiences. She relishes learning the vocabulary and specialties of each client she works with. Julia’s creativity is not all work and no play. She flexes her creative muscles recreationally as the voice of New England Patriot’s coach Bill Belichick in her own parodical blog. Notorious for his vague comments to the press, Julia felt this was the perfect opportunity to give Belichick an open mic and have some fun. Since February, Belichick has been on hiatus, but Julia assures us he’ll be back once the draft gets started. A creative writer like Julia adds star power to your team – if you’re searching for a talented creative, marketing or interactive professional give CM Access a call today at 800-330-4110. There’s a whole lot of talent swimming around the CM Access candidate pool and we want to show their form off! Each month we will showcase one of our team of creative job seekers, giving you a glimpse at them and what they have to offer. To kick-off this new feature we introduce you to Matthew, a graphic designer who has an abundance of artistic skills. Matt has been with CM Access for a year and a half, and has spent time designing packaging for a popular toy company. His designs can be seen in your local toy aisle and in European stores as well, a fact that Matt enjoys. Walking through a store with family or friends and pointing to a toy package on the shelf and saying “I designed that” is a great feeling, Matt described. While some may be hesitant to work in a contracting position, Matthew said partnering with CM Access has been a great experience, including the opportunity to work with market-leading companies. He and his fellow contractors were welcomed into the family at their assigned company, even getting together during downtime with their co-workers. Matthew has the strong support of his career advocate Jason DeVito, who he reports, has worked hard to get him positions in companies that pique his interest. Matthew’s dream is to one day design for the WWE (World Wrestling Entertainment for you non-wrestling fans) since the sport is something he and his father have enjoyed together since his childhood. He revealed that Jason is working to help Matthew realize his dream. Artistic pursuits are a large part of Matt’s life in more ways than graphic design. Putting his skills to work in costume and set design has strong appeal for him. If you saw the Ultrasonic Rock Orchestra, a Boston rock opera, then you saw some of Matt’s work. He acted as a costume designer for the show. The picture above is another sample of Matt’s work. Matt also hopes to do some traveling and experience the Scandinavian countries of Iceland and Finland. There is something about the culture and breathtaking landscapes that has always captured his interest. Just speaking with Matt, it’s clear that his passion for his craft and innovative ideas makes him an asset to any company’s design team. If you feel Matt or another of CM Access’s team of talent can add to your company’s success contact us at 800-330-4110. Most companies that hired employees in 2011 put significant time and energy into interviewing and hiring qualified people for their jobs. Hiring can be a lot like dating – you have to kiss a few frogs before finding your prince. But once you do find your prince, it’s storybook magic. With 2011 fading into the background, the buzz is that 2012 will present a unique challenge for companies to retain those employees they worked so hard to hire. This will be the year to pay close attention to not only hiring practices, but strategies to keep people engaged in the workplace. After all, you didn’t go through all that work to find a prince to have him hop away. So why are some companies failing to retain their best talent? According to a recent Forbes.com article, companies, especially large ones, may lose valuable talent due to company bureaucracy, lack of career development and the ability to understand what motivates their employees. So what steps can a manager take to engage their team? Be sure to align an employee’s strengths with the job at hand to ensure that they are the best person for the job. Trying to “fit” someone into a position is not a good idea. An employee should be challenged in a good way, engaging their strengths to the fullest potential. Forcing a “fit” that is not meant to be could lead to issues in the work being produced as well as the dynamics of the team. Connect with your team through regular communication, lead by example and find creative ways to motivate your team. If you rarely communicate with your employees, they are not going to connect with you or the company. Speak with your staff to determine where they envision their careers in the future. 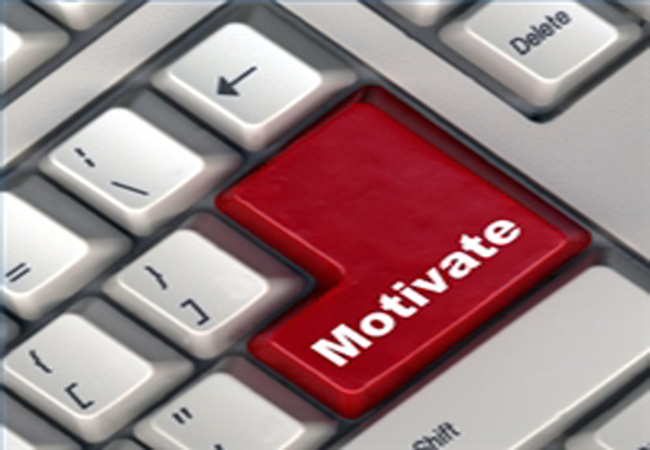 Discussing this can help you to guide and motivate team members. Create an upbeat environment. From the physical workspace to the office vibe, employees want to work in a positive, cool environment. Let’s face it, no one wants to come into the office each day dreading negativity and a boring atmosphere. Remember that teams are comprised of people who are doing jobs to ensure a company’s success. The company won’t thrive without engaged, accomplished employees.